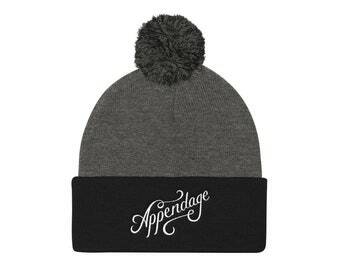 Appendage is handmade illustrated accessories for the home and body. My name is Jessica Buchanan. I am the Owner, Maker, and Designer. I make these accessories out of my house in Wichita, Kansas where I live with my husband, baby, Corgi, Pug, and flat face kitty. All of the prints and printed fabric you see on my shop I illustrated. I am applying my love for drawing to functional objects. I started Appendage after I was laid off. I have always been a maker and I needed income. I draw/design the fabric I use in my shop. My favorite college classes were scientific illustration and accessory design. Appendage is grown out of that love.